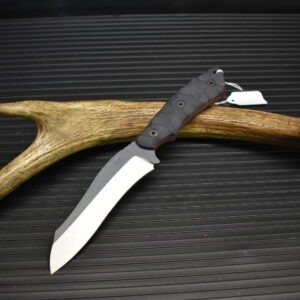 TCT knives are made by Darrin Sirois a retired Ranger and Special forces soldier with 25 years of service. Darrin’s experience has lead him to design excellent knives from real world uses. He makes all of his knives in his home shop in Fayetteville, NC. He uses premium materials and makes an excellent quality knife.